Today we are back again with a new free recharge offer. Here you will get Rs. 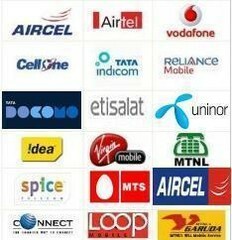 20 Mobile Recharge absolutely free just by doing 3 simple steps. A website named Pricekart is offering free recharge for referring friends. How To Get Free Mobile Recharge ? 2. After registration verify your mobile and Email. 4. Now Install Chrome extension to get 10 more points. 6. Now refer a friend by giving him your referral link or what you can do is, you can register your own number from your family members. 7. After you register second number and verify it you will get 5 more points in your 1st account. Means now you get 20 points as a total and now you are eligible for free Rs. 20 recharge. 10 points - Chrome Extension Installation. 5 points - Referring friend. Note: Recharge will be done within 48 hours from the request so have patience. After recharge you'll get following written below submit button - "Thank you for your request,your recharge will be processed within next 48 hours, Happy Saving :)"
I hope you like this post. Please do share this post with your friends. Like our Facebook page for more updates.